The Kia Sorento has always been a good value for money people shuffler. 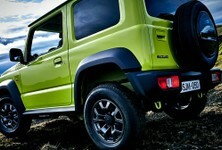 It has progressed quite nicely from its humble beginnings as a body-on-frame SUV to its modern car-like chassis. 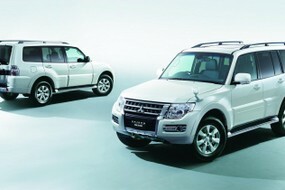 The latest model pits itself as a more upmarket SUV with modern technologies and stylish looks. There is a lot of competition in this expanding segment so we got to grips with the entry level 2.4-Litre, five seater variant. 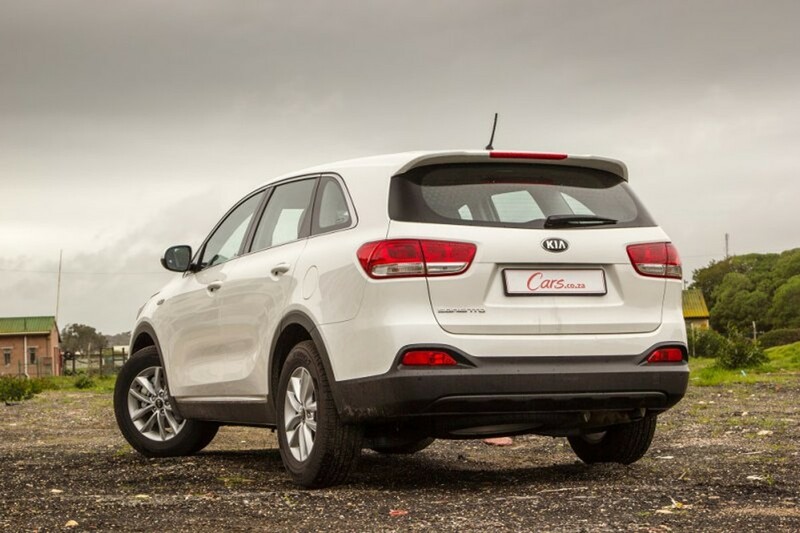 The Sorento has a new exterior design that helps it to look more substantial and gives it better road presence. 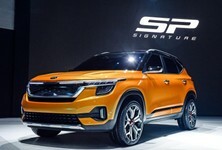 Recently we have come to expect more wow factor from Kia in its design where this feels more like an evolutionary design. It’s still well-proportioned and with the tiger-nose grille up front, it’s still easily recognisable. Our 2.4 LS here doesn’t do the overall style justice as the fog lamps aren’t included and it rolls on 17-inch wheels rather than 19-inch wheels fitted on the higher spec model. It does feel very well built with tight shut gaps and soft sounding thuds when opening and closing doors. The cabin has undergone a restructure in design and the features are mostly up to date. We weren’t so convinced by the interior, especially when met with the tiny infotainment screen. It looks awkward and out of place in this upmarket segment. Kia has said a larger screen will soon be available – complete with navigation quite soon. 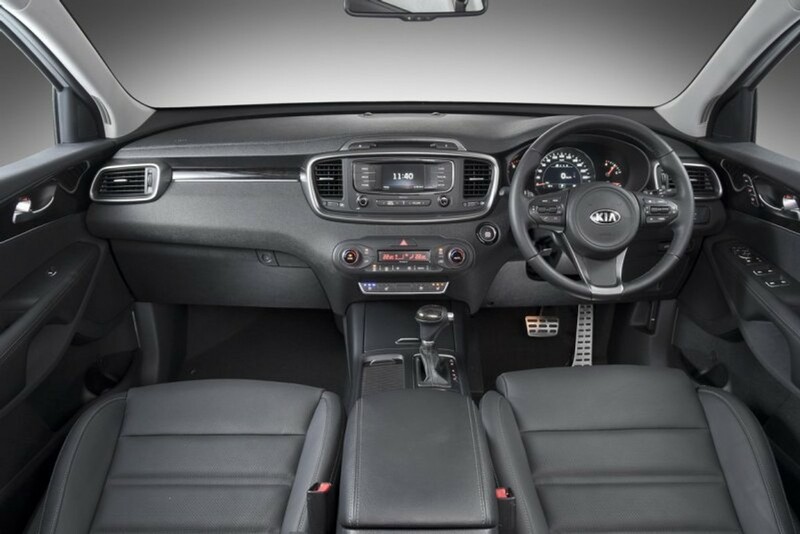 This will be a major improvement when it comes and makes the Sorento interior more user-friendly. The cloth seats are comfortable in this model and as usual there’s USB and Bluetooth connectivity as standard. There are also more soft-touch materials dotted around the cabin but it all seems to be a vast expanse of black. It could do with a bit more character inside. 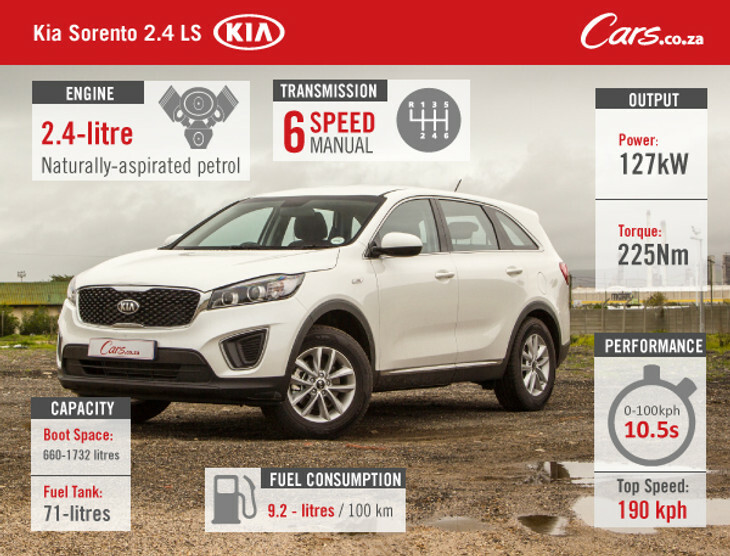 The Sorento makes up a lot of ground with its impressive space and flexibility. The rear seats offer ample leg room and can slide back and forth to provide more leg room or increase loading space in the boot. The rear load space maxes out 660-Litres which is impressive compared to it rivals. The rear seats also fold flat adding to the load bay size. The 2.4 LS model here carries over the engine from the previous generation Sedona. Connected to a six-speed manual transmission the engine is capable of 127 kW and 225 Nm of torque. 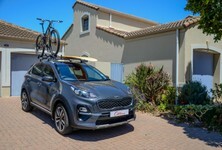 This model is also only available in front-wheel drive and despite not having the extra weight of powering the rear wheels as well, it felt quite sluggish. Pottering around town seemed to be okay but once loaded up with a few occupants and surfing paraphernalia it seemed lethargic on the open road. If you’re planning to do more than just the school run with the Sorento then it’s advisable to go for the 2.2-Litre turbodiesel. The six-speed manual gearbox works well enough although you’ll be working it quite hard in this petrol version. Kia has gradually improved in this department. Older models used to be quite choppy and crashy over sharp bumps. 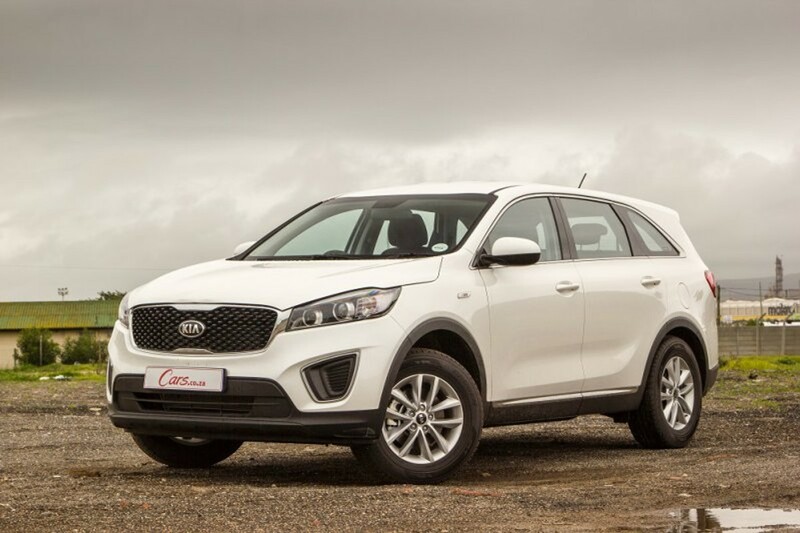 This Sorento rides comfortably and remains poised on all sorts of tar roads. 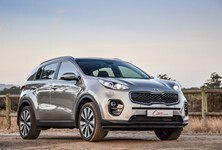 The steering is still light and lacks feedback but Kia has introduced driving modes that adjust the weight of the steering slightly. Sport mode adds extra weight to the steering but it still lacks feedback that makes it quite difficult to judge what’s going on underneath you. Dirt roads aren’t the Sorento’s strong point, especially if the dirt road is quite rippled. On a smooth dirt road the ride is acceptable but bumps tend to ripple their way through to the cabin and shake things around. Thankfully the build quality seems to be very good as nothing was jolted loose or dropped off. 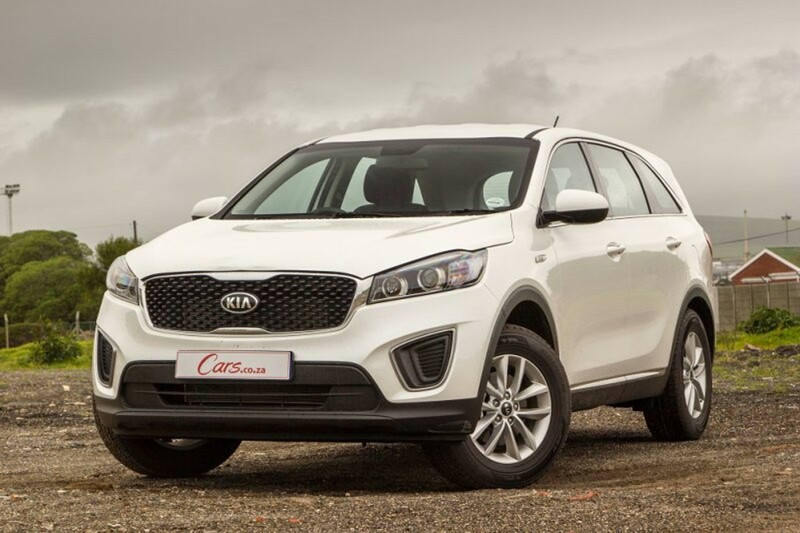 The Kia Sorento proves to be a useful bit of kit for city slickers that want a bit of kerb hopping ability. It loads lots of things into the back with its large boot and passengers in every seat get a comfortable and spacious ride. The naturally aspirated engine lacks energy when loaded up and requires a lot of revving to keep it in the sweet spot. The diesel is certainly a better choice of engine. 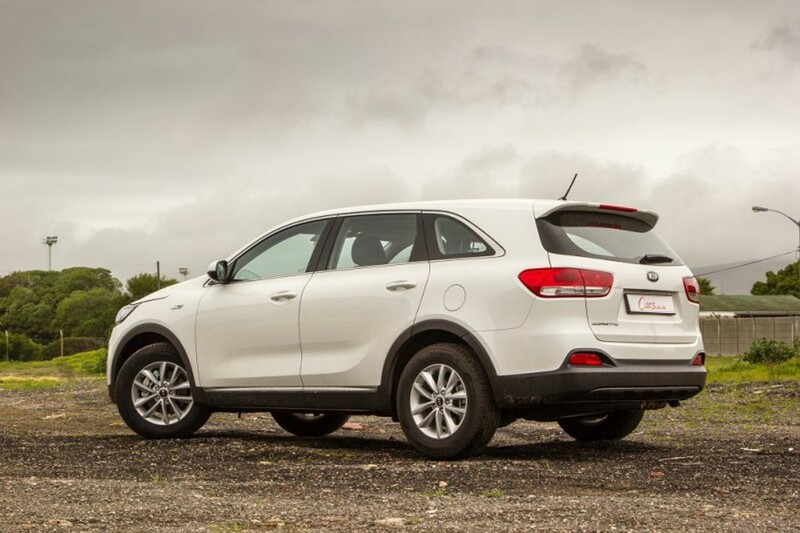 If you’re going to spend 99% of your driving life on road then the Sorento’s road manners are suitable and it errs on the side of comfort rather than sporty. 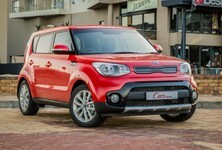 Kia still offers excellent value for money in its vehicles but its competitors are closing the gap. The 2.4 LS costs R379 995. Also in the range is a 2.2 diesel in three specifications: LX - R4999 995, EX AWD R599 995 and SX AWD R634 995.